See bottom of calendar for explanation of map references. Click on rating icon for explanation & details of ratings. Lake Wilson - Meet at the Walker Street boat ramp (see map ) at 9:30 for a 10:00 AM launch. 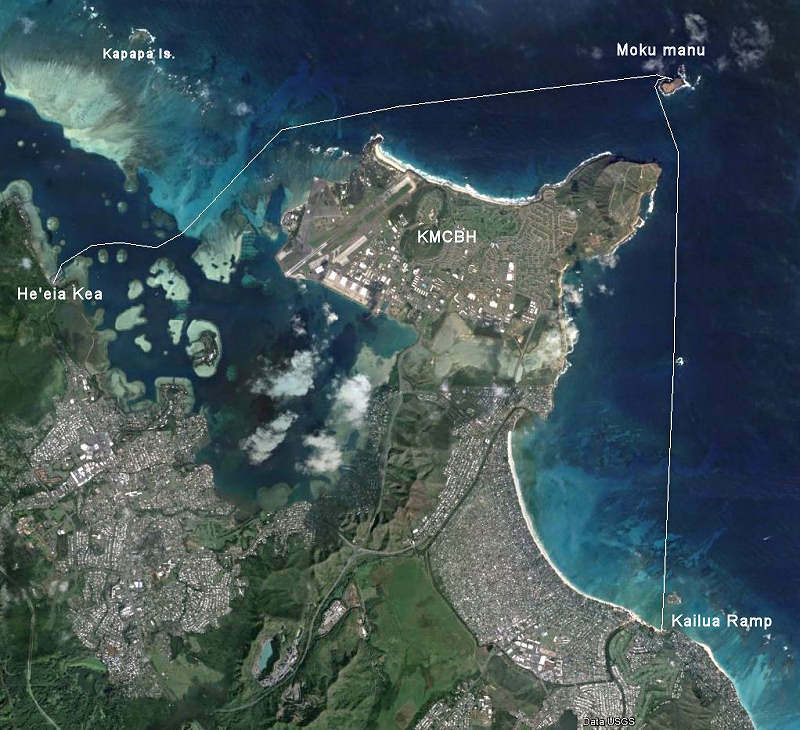 Ke'ehi Lagoon to Ewa Beach- along the Reef Runway and across Pearl Harbor Channel. Long carpool for this one, be ready to leave "Alan's Ramp" (see map ) at 8:00 AM, Be at Ewa Beach no later than 8:30 a.m. for the return shuttle. Launch at 9:00 a.m.
Because Kona winds may incline us to run this paddle in the opposite direction (starting at Ewa Beach instead), check with the paddle leader the night before. Please note: We are in the SMALLl GROUP CAMPSITE this year (next to the Canoe Hale/Big White Tent)! We still need "individual" campsites, otherwise space will be EXTREMELY LIMITED. If you want to help reserve, contact one of the folks below and make arrangements. The campsites are to the south near the last fire circle. The Big Kahuna (Moku Manu): - Kailua Boat Ramp to He’eia Kea Pier via Mokumanu. Meet at Kailua BR at 8:00 am and be ready to leave for carpool to He`eia Kea at 8:30 sharp; launch upon return about 9:30am. Stops at Mōkōlea Rock & Mokumanu cave (The latter is dependent on no live-fire exercises at Mokapu Range, and calm water.) 12 mi. (Int'l Earth Day) Keehi Lagoon Surfing & Island Clean-up - Launch from "Alan's Ramp" at 8:00 AM if you want to surf; volunteers for the cleanup effort can wait 'til 10:00 - everyone meets at "Blue Pool" at 10:30. Bring footwear (tennies), gloves and HD trash bags. La Mariana Sailing Club for lunchafterwards. Sailathon: Kahala to Ewa Beach (Waikiki to Wai'anae) - a loooong paddle, for sure! Not recommended without a kite or sail. All ACA safety gear must be carried, paddlers must be pre-approved by Steve prior to showing up. Meet at Kahala Beach (Waiala'e Beach Park) no later than 8:00 AM for a long carpool. 17 mi.